Know your summer Tomatoes! Delicious. 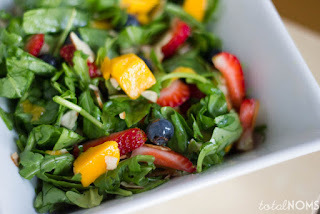 This is one of my ALL time favorite salads during the summer. -Combine all ingredients and toss with dressing right before serving. Add Salt and Pepper to taste.